The shop frontage at Number 28 has gardly changed in 50 years. In the fifties it was run by two brothers, one who lived in Hanslope and another Newport Pagnell way. They were physically dissimilar, I thought, but they were both assiduous in providing excellent customer service. If you wanted a piece of wood exactly 1ft. 11 3/4 inches, Mr Lake would disappear to the back yard, saw the wood to dimension and bring it back . If you only needed 29 1″ screws these were counted out and supplied in a white paper bag. No blister packs in those days. Vic Old was also working there as a young man. I assume he started there straight from school and when the Lake Brothers retired he bought the business and continued, I assume, to his own retirement. He had a very good manner with customers. 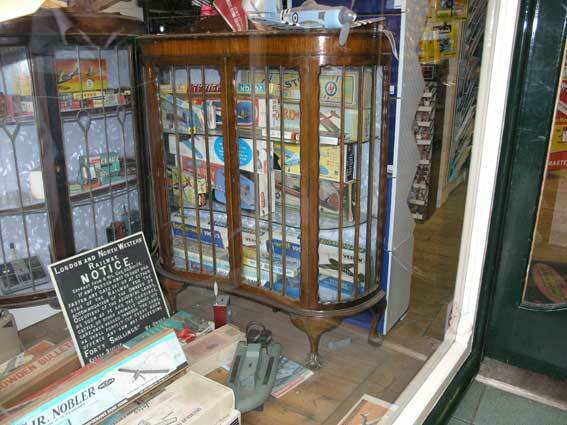 Obviously the present owners inherited a lot of old stock and for nostalgia seekers like myself have kindly placed them in one of their display windows. 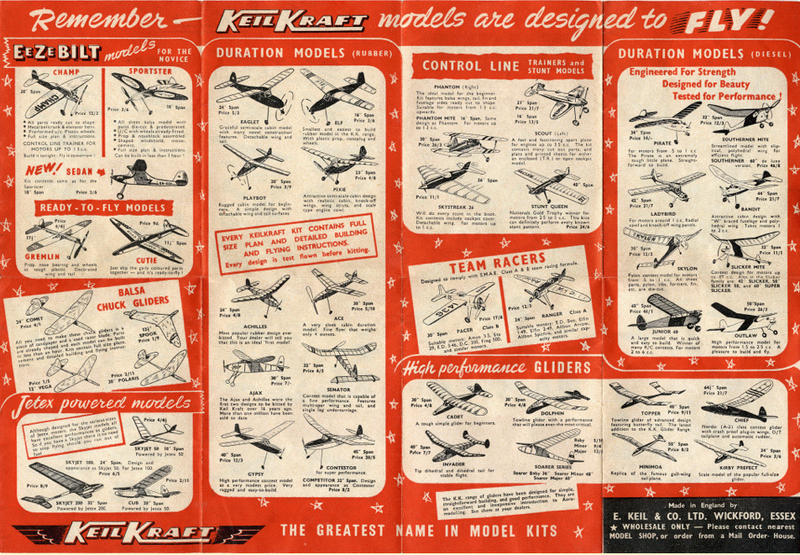 It does remind me of many a happy hour spent as a boy building a Keil Kraft model plane out of balsa wood and tissue. You could also buy cellulose dope to tighten and waterproof the tissue skin. It was highly aromatic and I suspect that health and safety regulations would prevent its sale today. The cabinet in the window used to contain shotgun cartridges and airgun pellets. This was another side of Lake’s business. The guns were displayed in the west side window. This probably explains why the shop had a wrought iron locking gate.